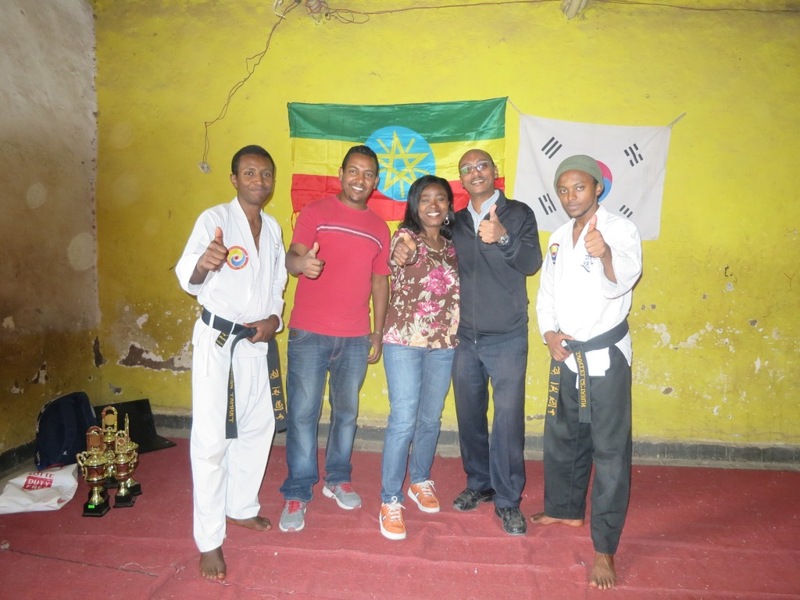 FFWPU Ethiopia, Simon Amare: Ethiopia Tongil Moodo invited FFWPU President, SIMON AMARE and UPF’s Peace Ambassador, Mr. WONDWOSSON HAGOS to come and visit their training center and see thier works and achievements on October 31st, 2015. DANIEL GETAHUN, current President of Tongil Moodo Ethiopia, SAMSON TAMRAT assistant to the president and ZENAGEBREL DESALEGN leader and trainer requested the National Leader of Unification movement in Ethiopia (Simon AMARE) as well as UPF’s peace ambassador (Mr. WONDWOSSEN HAGOS) to be present during one of their training sessions on October 31st, at early morning of 7.30 am in their training center located in KAZANCHIS area. They, actually, share the big hall of the YMCA center. The Federation is also known as of “BLOOD BROTHERS Club”. Tongil Moodo exists in ETHIOPIA since 1999 and it was established through the good office of Master E. P. AKETCH, a Kenyan and former National Leader of Unification church-ETHIOPIA by then. Tongil Moodo has a regular training attendance of about 20 young members currently, including boys and girls from age 3 to 20. Yes, even a 3 years old boy is considered as fellow. 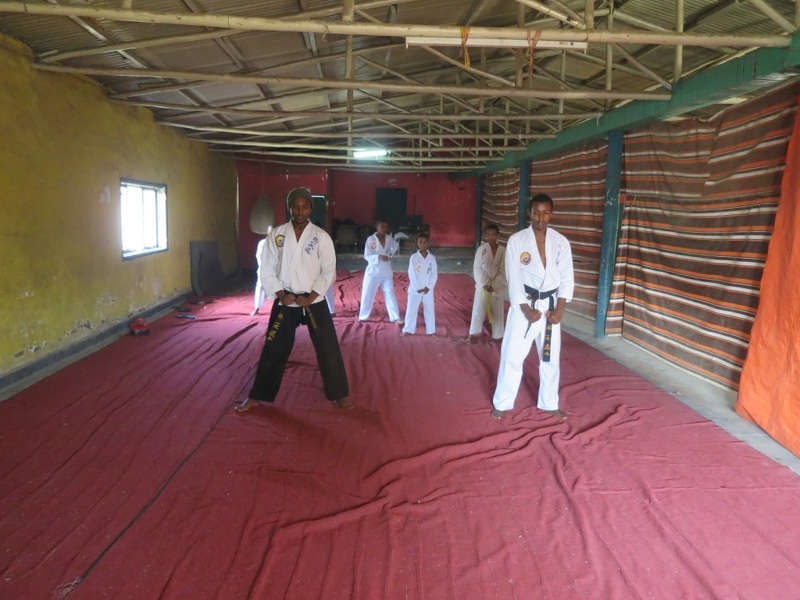 They recently opened and rented a hall in the compound of BIRHAN High school starting from last month, OCTOBER. 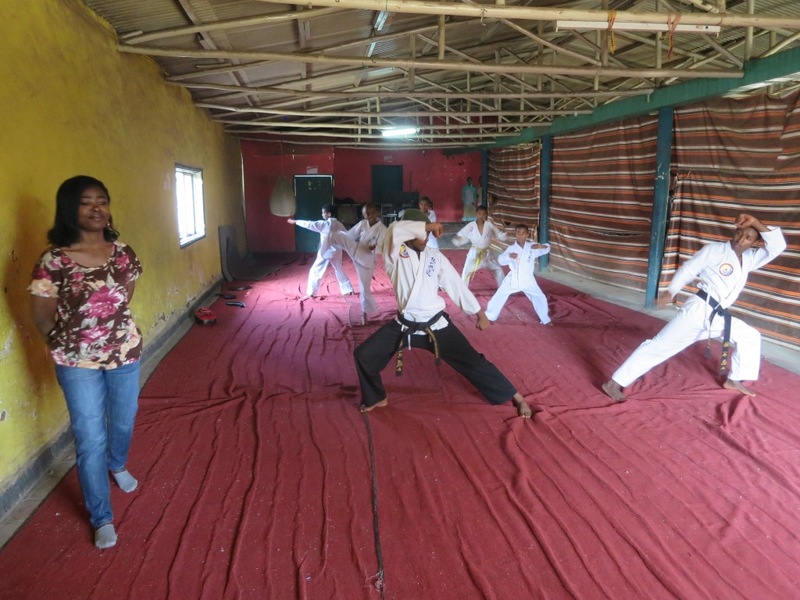 Their aim is to reach and attract the High school students to let them know of what Tongil Moodo Martial art consists of, but at the same time to teach of the 3 Blessings as the Purpose of life. 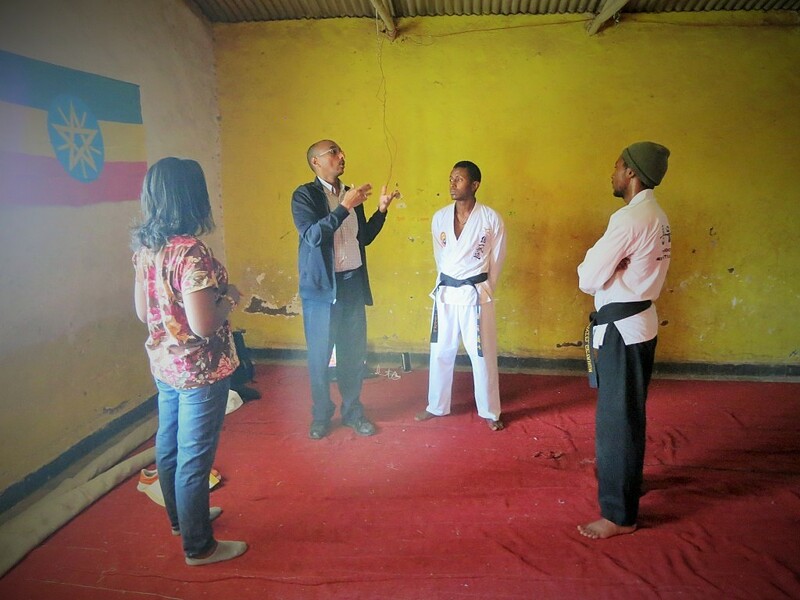 ZENAGEBREL DESALEGN, their trainer and lecturer shared with us the 4 Position foundation is at the heart of their teachings and principles, mainly while teaching Character education. Once we arrived at the training center, they started to show us the children demonstration. After the training session, thanks to the support of UPF_SCOTLAND during a preceding interfaith tour in Ethiopia, we could donate a laptop and speakers to the federation. We thought this could surely help them to improve their method of teaching their principles. In the 3rd place, the federation members proudly showed us the medals and cups they obtained in various tournaments. More recently, only 3 leaders and 1 member won and brought 13 medals (gold, silver and bronze) plus 1 cup from the regional tournament organized in MOMBASA, KENYA in AUGUST 25TH of this year. Daniel GETAHUN & Samson TAMRAT, the president and the assistant in the middle holding a trophy. The members of Tongil Moodo were so much delighted with our presence that they even asked us to share their joy and achievements by also holding their trophies and medals for memories. And finally, in order to express their gratitude towards us for our visit and support, trainers and members performed a beautiful and, in a so artistic way PYUNG_HWA_EUI demonstration for TRUE PARENTS. 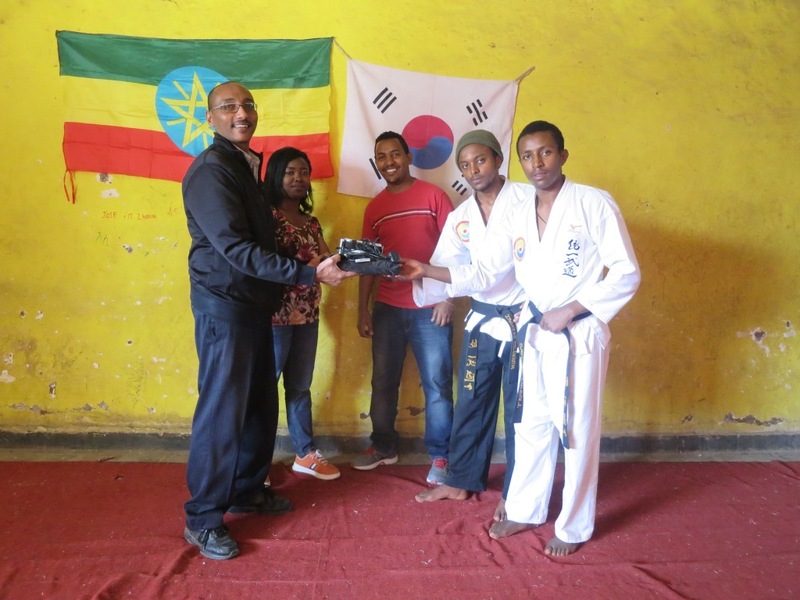 We concluded our visit by congratulating them for their hard works and sacrifices despite all hardships they may encounter, considering that TAEKWONDO Martial art is more developed in Ethiopia. Indeed, the leaders revealed that the federation has been facing many difficult circumstances such as lack of finances, very old materials, uncomfortable places for trainings but still, they persevered. 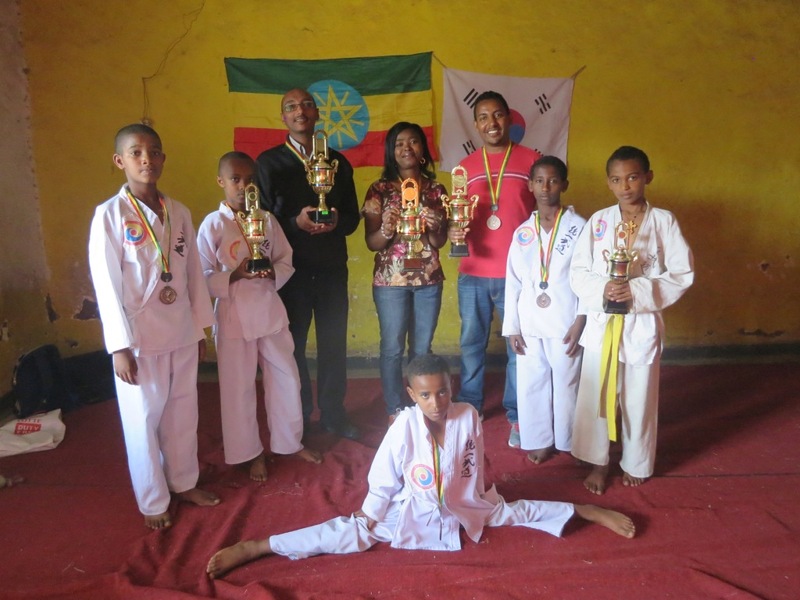 We were amazed in front of their faith and perseverance and above all their love for Tongil Moodo martial art. Despite they are not receiving support of any kind, they really try not only to preserve Tongil Moodo in ETHIOPIA but also to develop it. ZENAGEBREL DESALEGN said he cannot see himself stopping or separating from this UNIFIED MARTIAL ART. 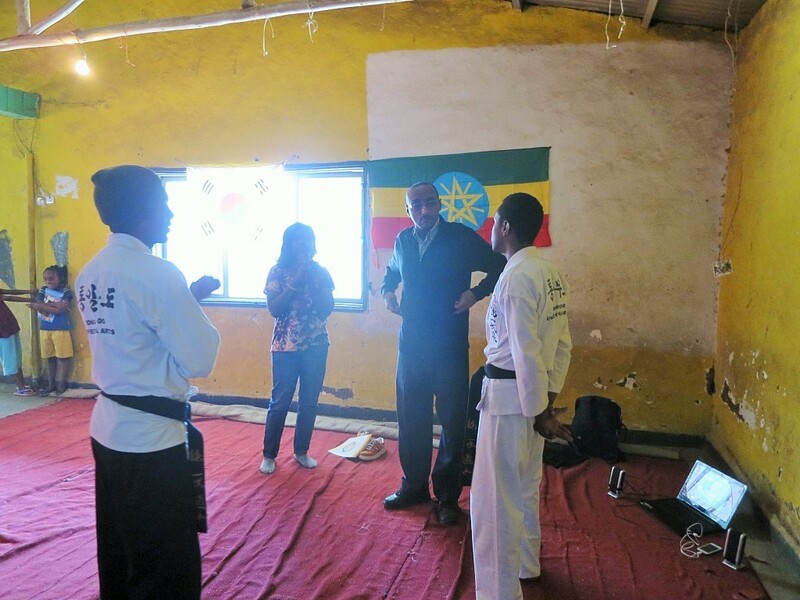 Our visit ended with advices and encouragement to continue to make more and more young Ethiopians know about the Martial art founded by Rev. Dr. SUN MYUNG MOON.